Purdue Pharma And Other Drug Companies Fight Opioid Disclosure : Shots - Health News Lawsuits over the way drugmakers have marketed opioids are already putting a dent in companies' reputations. Litigation has forced the release of internal documents that are shifting the narrative. "What's important to me is that the facts come to light, and we get justice and accountability," Massachusetts Attorney General Maura Healey said about litigation that has made internal Purdue Pharma documents public. "The narrative is clearly shifting on this story," said David Armstrong, a senior reporter with ProPublica, who has covered the drug industry for years. "People want some sort of reckoning, some sort of accounting." One reason for the shift is that cities and states filing these suits are moving more aggressively to pull back the curtain on the drug industry's practices, urging courts to make internal memos, marketing strategies and reams of other documents public. "Our next battle is to get the depositions and the documents that are being produced made available to the public, instead of everything being filed under confidentiality agreements," said Joe Rice, one of the lead attorneys bringing lawsuits against drug companies on behalf of local governments in Ohio. Memos also show that Purdue executives developed a secret plan, never implemented, called Project Tango in which they acknowledged the escalating risk of the opioid epidemic. The program was allegedly designed to help Purdue profit from the growing wave of opioid dependency by selling the company's addiction treatment services to people hooked on products like its own OxyContin. This increased transparency represents a big shift in the way opioid lawsuits are being handled. "We've done something that hasn't been done before," said Massachusetts Attorney General Maura Healey, who appeared in February on NPR and WBUR's program On Point. Massachusetts is suing Purdue, like dozens of other states, and Healey fought successfully to make all the documents her office had uncovered public, without redactions. "What Purdue's own documents show is the extent of deception and deceit. 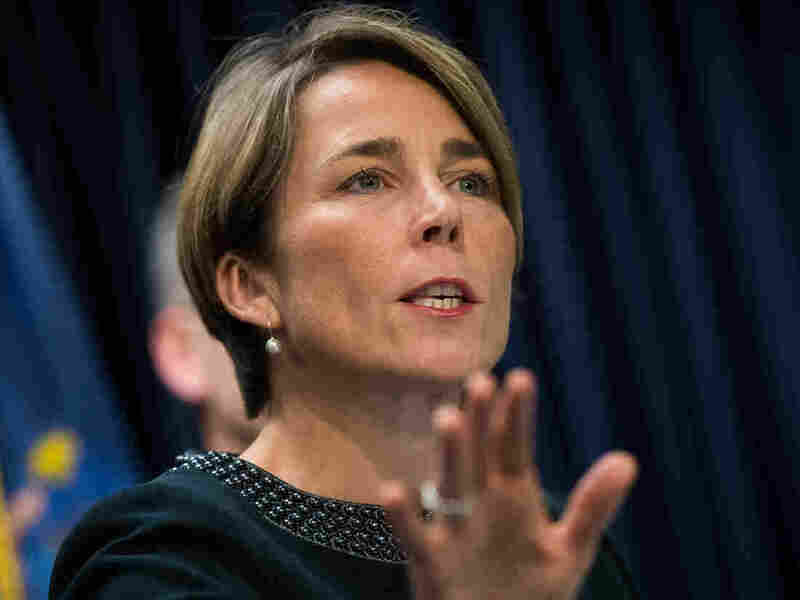 What's important to me is that the facts come to light, and we get justice and accountability," Healey said. In past opioid settlements, companies paid fines but insisted on gag orders. "The way it usually works is the language in the settlement requires either that the records be destroyed very quickly after the settlement or that they physically actually return the records to the drug company," said ProPublica's Armstrong. That happened in 2007 when the Justice Department ended a criminal case against Purdue Pharma. It happened again a few years ago when the state of Kentucky settled a civil case with the company and that state's attorney general destroyed thousands of pages of documents. As a result, few people in the wider public knew how serious the allegations were. As more information has been revealed, it's sparking fury. At a February hearing on Capitol Hill, Sen. Maggie Hassan, D-N.H., blasted industry executives. "Companies like Janssen and Purdue Pharma fueled this epidemic, employing deceptive and truly unconscionable marketing tactics despite the known risk, so you could sell more drugs to maximize your profits," she said. Jennifer Taubert heads the Janssen Pharmaceuticals unit of Johnson & Johnson, which makes and sells opioids. The company faces escalating lawsuits over its products, but Taubert denied any wrongdoing at the hearing. "Everything that we have done with our products when we've promoted opioid products, which we stopped marketing a long time ago, was appropriate and responsible," she told lawmakers. Yet according to the drug companies' internal documents, firms including Johnson & Johnson pushed unscientific theories about drug addiction. They allegedly did so as part of an effort to persuade doctors to prescribe even more opioids after patients showed signs of dependency. If that happens, says ProPublica's Armstrong, documents that help tell the full story of this drug epidemic could be destroyed or locked away for years. "I worry that we're going to lose all this valuable information about how we got to this point with this crisis, who knew what when," he said.